On Sunday the 18th August the Bog of Allen Nature centre will be celebrating National Heritage Week. From 2-5pm the centre will be open for visitors to explore the peatland heritage of Ireland. 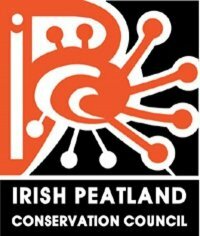 The museum takes in all aspects of peatlands from the use of peat as a domestic fuel for heating and cooking in the home to the variety of wildlife found on the wet and wild habitat of Ireland’s peatlands. The wildlife gardens will be open to discover how you might enhance the wildlife in your own garden and how you can choose to garden without peat. There will also be a talk on IPCC’s on-going ecohydrolgy study of Lodge Bog to include a visit to the study site. This method of study, involving analysis of the links between hydrological functioning and surface ecology, is now considered best practice and has been recommended to be carried out on all raised bogs of conservation concern in the country. It involves detailed analysis of the current hydrological state of the bog, both at the surface and lower in the groundwater system, which allows for mapping of the historical plant assemblages as well as today’s ecosystem functioning within the bog habitat. For further information contact 045-860133 or e-mail bogs@ipcc.ie. This event is supported by Kildare County Council under the Community Heritage Grant Scheme.